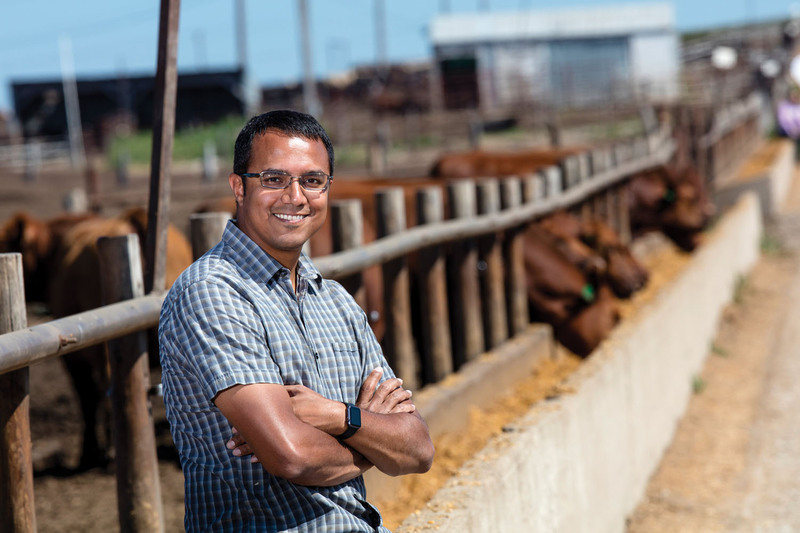 Giving livestock producers and feedlot managers an easy-to-use, highly accurate tool to assess animal health and well-being is the idea behind Lincoln startup company Quantified Ag. UNL’s Nebraska Innovation Campus and local business accelerator NMotion are helping chief executive officer Vishal Singh turn his idea into reality. In 2014 Singh completed the NMotion program, a mentoring and education accelerator for local startups. NIC and NUtech Ventures, UNL’s technology development group, are NMotion partners. Singh’s mentors helped him start thinking like an entrepreneur. With a background in agricultural imaging, Singh was more comfortable building technology than considering commercial feasibility. That realization led Singh to scrap his first idea of using drones to track biomarkers. Working with cattle producers and feedlot managers, he learned a drone could identify an area with stressed cattle, but finding a specific animal took detective work. Cattle producers’ responses to Quantified Ag’s biometrics sensor idea have been overwhelmingly positive. Testing is underway and production plans are in the works. Singh is eager for Quantified Ag’s move to NIC in the fall. NIC has been an important partner, he said, providing marketing support and other resources. UNL faculty expertise in agriculture, food science and technology, and big data make NIC an ideal fit for the growing company. “We’ll be in the middle of it all,” Singh said.